Iranian Foreign Minister Mohammad Javad Zarif has proposed that the country’s Supreme National Security Council (SNSC) should add American forces in West Asia, known as the United States Central Command (CENTCOM), to its list of terrorist groups. 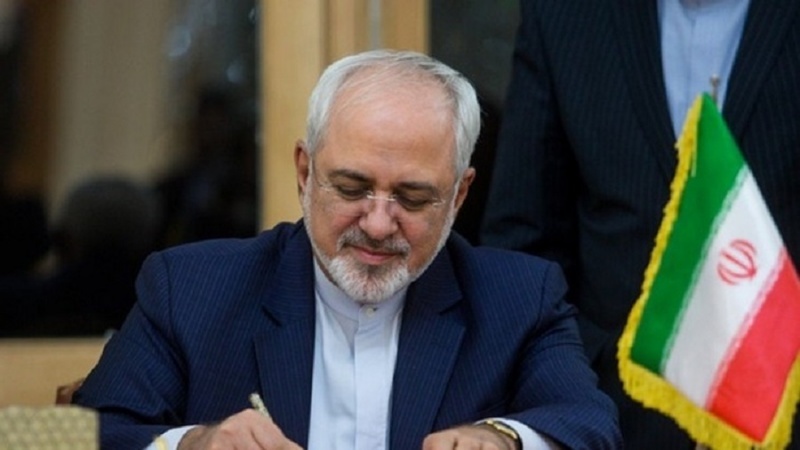 Zarif made the proposal in a Monday letter to Iranian President Hassan Rouhani, who also chairs the SNSC, shortly after US President Donald Trump designated Iran’s Islamic Revolution Guards Corps (IRGC) a foreign terrorist organization. In his letter to Rouhani, the top Iranian diplomat said given overt and covert support of US military forces in the region for terrorist groups and their direct involvement in terrorist acts, the SNSC should designate American forces as terrorists based on a law titled “Countering America’s Human Rights Violation and Adventurous and Terrorist Actions” passed by the Iranian Parliament in 2017. In August 2017, Iran’s lawmakers overwhelmingly approved a motion in response to US sanctions, voting to boost spending on Tehran’s missile program and the IRGC’s defense mechanism. In a session, 240 lawmakers voted for the bill, with only one abstention, to confront America’s terrorist and adventurous acts in the region. “If the Americans make such a silly move and endanger our national security, we will implement and put reciprocal measures on our agenda based on the policies of Iran’s Islamic establishment,” Major General Mohammad Ali Jafari said. Later, in response to Iranian Foreign Minister Mohammad Javad Zarif, the country’s Supreme National Security Council (SNSC) agreed to add the United States Central Command (CENTCOM) and its affiliates to its list of terrorist groups.